After defeating the Previous Timekeeper who was out to destroy her soul, Madison is now in charge of the Dark Reapers, who carry out heaven's "hit" orders. She is still dead, and has to deal with trying to change the system, as well as an overzealous Light Keeper who will do everything he can to see her fail. Yet despite all this, Josh, her human friend, seems to want to be something more than friends, much to her delight. 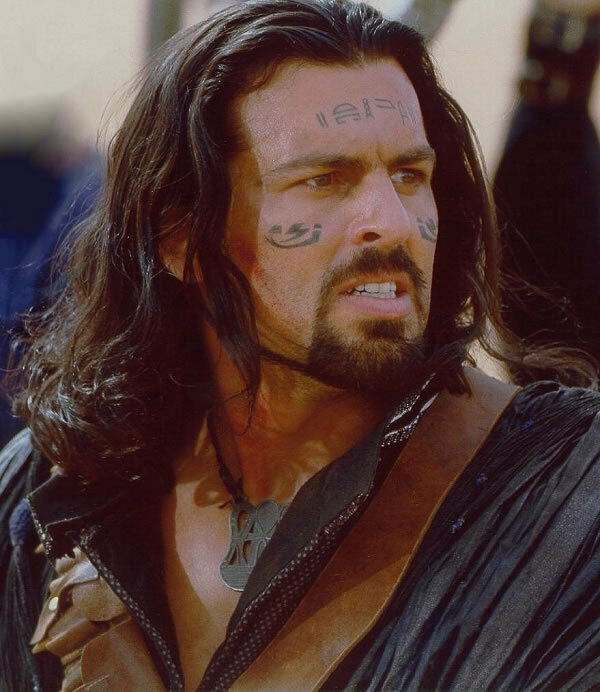 With her Dark Reaper bodyguard Nakita, and the Light Reaper defector Barnabas at her side, they set out to change one boy's fate. But fate it seems, doesn't want to be changed, and it won't be as easy as she thought after all. Madison may just have bitten off more than she can chew. Madison, Nakita, Josh, and Barnabas make for one heck of a motley crew. I mean you have a dead girl, a dark reaper, a light reaper and a plain old human, so sparks are bound to fly at some point. You would think things would get a little overwhelming with so many main characters, yet it never does. 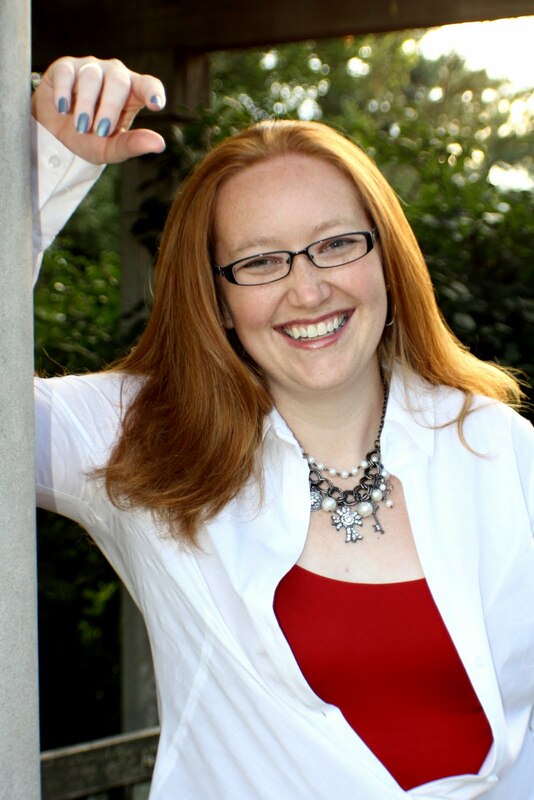 Kim Harrison is fantastic at giving each character a distinct voice, with none of them ever seeming to just be a cookie cutter pattern, no matter how small the role. So when something happens, you can guarantee that the character's reaction will be very realistic and true to the character. I especially like the way she is able to show realistic growth in the characters without ever feeling forced. 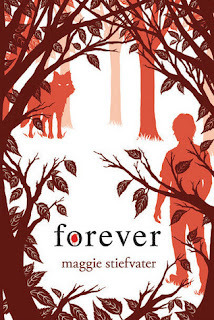 Fate and choice play an even larger role in this book than the last one. It's kinda funny that Madison doesn't believe in fate, yet she is in charge of the reapers that kill in the name of fate. She's trying to change a system that has been in place for ages. While she may get frustrated and just want to give up, I don't think she has it in her to quit. Even when she finally finds her body, I just don't think she will be able to walk away. She is in it for the long hall, and with her determination, I just don't see how things wouldn't start to change; no matter how slowly. I'm really enjoying reading the Madison Avery Series, and I'm so happy to see the same writing style I fell in love with in previous books, continuing on with this series. 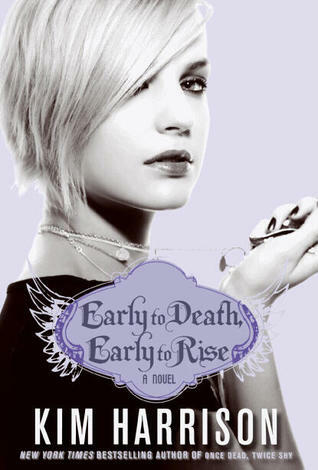 Early to Death, Early to Rise was a very enjoyable read, even more so than the first installment. Now that I know what is going on, I was able to sit back and enjoy the ride. I have a feeling I will enjoy the next book even more as I've become attached to these characters and their journey, and cannot wait to see how things pan out for them. All in all if you are a Kim Harrison fan, you should enjoy this book, and I highly recommend checking it out. Mira is still reeling from the events in the previous books, but has no real time to lick her wounds. The Naturi have split into two factions and a catastrophic war is on the horizon. Mira will have to swallow her pride and then some in order to join forces with the very species she has devoted her life to destroying. At least these Naturi seems to want peace when the war is over, at least for a time. Mira is too smart, or jaded depending on how you look at it to believe otherwise. The Great Awakening is just around the corner, with the Nightwalkers and Shapeshifters scrambling to put it off for as long as possible. Secrecy has been necessary to their very survival, but with the Queen of the Naturi determined to bare all in plain sight, Mira knows the time of hiding is just about up. That won't stop her from make one last effort to prevent those events and put an end to the insane queen once and for all. Burn the Night is told from dual first person perspectives, with both Mira and Nyx getting a few chapters each turn. I'll be honest that I was a little worried at first when things started out with Nyx, and that the book wouldn't have enough of Mira, but I need not have. Mira definitely got her due share, but I really enjoyed Nyx's perspective as well. It was like a behind the scenes look into a side we hadn't really understood before this point. In a funny way, Nyx is really similar to Mira in many ways. They both are extremely powerful, and both were shunned by their people as a result. Another similar trait was their fierce protectiveness and willingness to sacrifice everything if needed. This any many more things would make Nyx a formidable opponent for Mira if they were ever to come to blows, even more so than any other the others Mira has faced, because none of them have had that same sacrificial nature. Luckily for both of them they were on the same side, at least for the time being, but that fragile truce made for a very interesting reading, knowing that it wouldn't take much to tip the scales at all. The best thing about Burn the Night was that Jocelynn Drake didn't just wrap things up with a cookie cutter ending nor did she try to shove these raw characters into a neat little wrapped box with a bow. The ending is fragile and tenuous, with the knowledge that no peace nor resolution will be permanent due to the nature of all the different species, but at least we do get a small look into a reprieve, however long or short that may be. Trust me, Mira's earned a little downtime, if not some major R&R. Anything more concrete just would not have been realistic, and I cannot be happier that she stayed true to the characters and the wonderful world she built. Burn the Night is the type of book that deserves to be savored. However, with its nonstop heat pounding action it became a battle of wills in order to slow myself down to truly appreciate what I was reading. 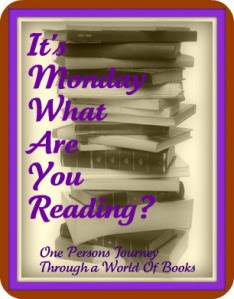 So much was going on that I really wanted to take my time to make sure I didn't miss anything, but the action just would not be denied and I raced through the entire book at a record pace. I'm very much looking forward to a reread in the future to discover everything I missed in my haste to see what happened next. As much as it saddens me to say goodbye to Mira and Danaus, I really felt like the series is ending in a very natural place. There are many reasons for this, that I won't get into to avoid spoilers, but suffice it to say that almost all of the questions and pressing issues will be answered. Burn the Night will leave you with a sense of satisfaction as you bid farewell, making it a fitting final installment in this amazing series. I had a pretty awesome reading week. First up was Hunt the Moon by Karen Chance. I love Cassie and how amazingly strong she is. 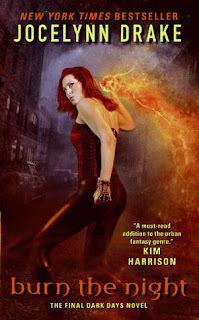 Sometimes by the fifth book in a series, things have started to fizzle a little. However that just simply isn't the case here. 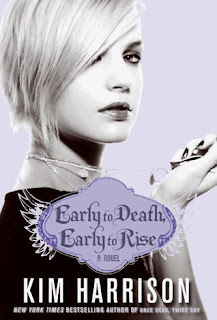 If you are Cassie fan you won't be disappointed in this latest installment. 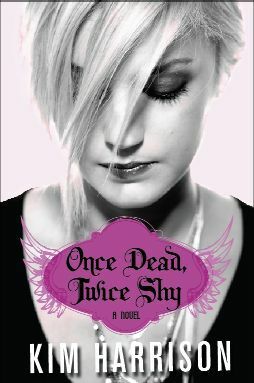 Next was Grave Dance by Kalayna Price. I loved loved loved this book. In fact I pretty much love all her books, and I hope she continues to gain popularity. What is really unique about this series is her ability to write a love triangle type theme really well. I personally think the best triangles are ones where the reader has a really hard choosing a side, and Grave Dance fits that bill. 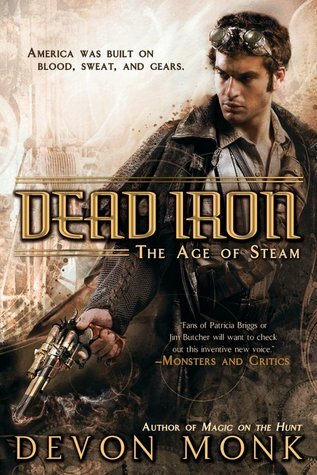 The final book for the week was my first foray into Steampunk. I'll have to admit I had a pretty large learning curve as I hadn't really read anything remotely like it, but once I got into it I really enjoyed it. I'm a big fan of Devon Monk's Allie Beckstrom series, so I knew I would just have to try Dead Iron out. I'm very glad I did. 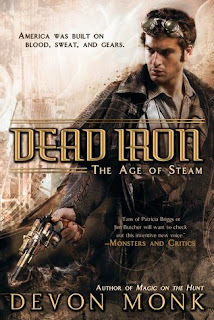 I'm giving away a copy of Dead Iron here, so make sure to check that out!